Los Angeles, CA – June 15, 2012 – The Telly Awards has named Los Angeles video production and marketing company IANMEDIA as winner in two categories at the 33rd Annual Telly Awards for their piece titled “Way That It Goes” starring singer, songwriter Darius Lux. 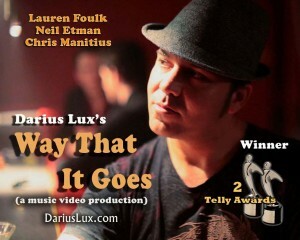 “Way That It Goes” a music video entry (rock genre) was awarded the Silver statuette for “Use of HD” and the Bronze statuette for “Music Video Production” (released online), starring Brit transplant Darius Lux (now living in Los Angeles, CA). An Ianmedia production, the project was produced by Nick Rizo (Canal+, France), Henrick Vartanian (Ianmedia, USA) and Darius Lux (Go Beyond Records). Directed by Henrick Vartanian, the video was shot entirely in Los Angeles by D.P. Karen Avanesian. In addition to Lux, actors: Neil Etman, Lauren Foulk, and Chris Manitius, star in lead roles. CLICK HERE to watch the award winning music video. For its 33rd season, The Telly Awards once again joined forces with YouTube to give the public the power to view and rate videos submitted as part of the People’s Telly Awards. YouTube isn’t just for cute cat and baby clips anymore. 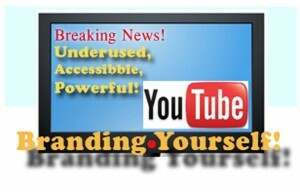 The site has increasingly become a go-to destination for breaking news and raw video. And back on traditional TV channels, basic cable and local news are benefitting from the massive spending as the presidential election bears down. Both trends point to a paradigm shift in where local merchants can spend their precious advertising dollars. But a key component remains the same, no matter where that money goes: content, content, content. Your message, is still important. A Pew Research Center report released this week found that terms related to breaking and current news events were the most searched-for terms for four months between January 2011 and March 2012, notes tech site Mashable.com. Viewers sought out information related to the Japanese earthquake and tsunami, uprisings in the Middle East and Russian elections. (Nearly three-quarters of YouTube’s traffic comes from outside the United States.) The most popular clips, racking up tens of millions of views, were a mix of raw and professionally edited content and did not necessarily focus on well-known personalities. Many of the clips were the result of collaborations between news organizations and so-called “citizen journalists” who uploaded footage they captured. 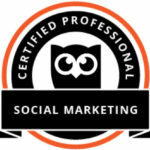 We are always happy to praise success here at Ian media marketing. Here is one. Emmy-winner Eric McCormack is back on TV in Perception on TNT. He plays a brilliant, very eccentric neuroscientist who also is a consultant with the FBI on their toughest cases. Get this! The drama pulled in a solid 5.60 million viewers for its first episode. Yes, TNT is on fire, which means your big corporate or local advertising dollars should go there – you too small business owners in Los Angeles. You can advertise on TNT as well. Mr. McCormack is currently busy on Broadway in Gore Vidal’s The Best Man, But this Daniel Pierce character he portrays on TNT is quite a change from his immensely popular Will Truman role, from the TV sitcom Will & Grace. TV commercial produced by Ian Media for our lovely client Pam Mac D’s Gluten Free Market in Burbank, CA.